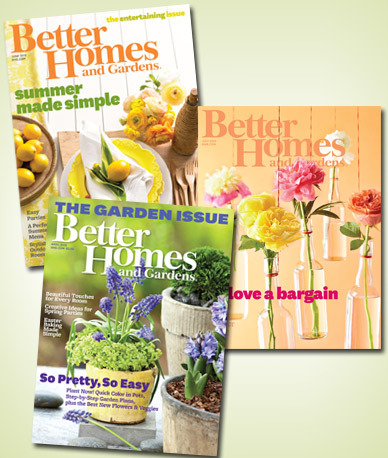 Home Ways to Save Mamapedia Get 24 Issues of Better Homes & Gardens for Just $7! Running a household and raising a family are tough jobs—but Better Homes and Gardens makes it easier. From recipes to gardening ideas to home organization, each issue is packed with tips to help busy moms simplify and enrich their daily lives.